Ella Mai Opens Up About Jacquees' "Boo'd Up Quemix" Debacle - Pop It Records - NEW MUSIC EVERYDAY! 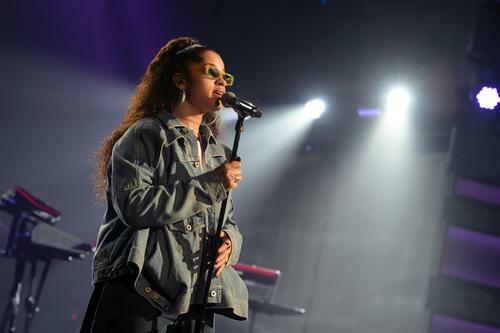 Ella Mai's "Boo'd Up" has emerged as one of many 12 months's breakout singles, and the melodic banger has yielded quite a lot of remixes consequently. One such effort was Jacquees' personal "Quemix," which rapidly gained traction as a fan favourite of types. Unfortunately, its reign was short-lived, because the powers-that-be wasted little time in placing the kibosh on the RnB singer's interpretation. Immediately, followers began pointing fingers in useless efforts to attribute accountability. Unfortunately, Ella Mai discovered herself taking the brunt of it, despite the fact that Mustard got here out to make clear that she had nothing to do with it; the 10 Summers producer claimed he and his label despatched the stop and desist, upon studying that Jacquees was trying to monetize the remix (a declare Jacquees proceeded to disclaim). Now, Ella Mai has opened up in regards to the state of affairs, hitting up the Hot 97 studios for a dialog with Ebro Darden. When requested in regards to the state of affairs, Mai appeared to keep away from doling out outright accountability, as an alternative citing label politics past her management. "Bood' Up had 5 thousand remixes," she explains. "It's not that. It's simply in terms of somebody making an attempt to monetize, then it turns into a distinct difficulty on the label aspect. That's by no means going to occur." Ebro presses additional, inquiring about rumors that Mai truly blocked Jacquees on IG; on that observe, she smiles, and insinuates that the Hot 97 intern has been peddling pretend information. Peep the change beneath.